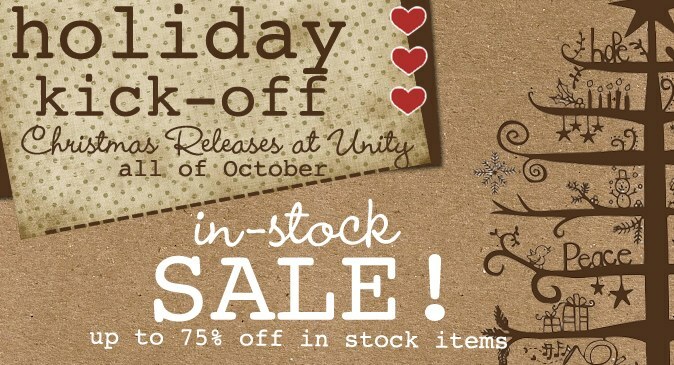 RWKrafts: Unity Kicks Off the Holidays! After I colored the banner and the wreath, I coated the deer in glue and covered it in a dark teal fine glitter. Then I accented the wreath and horns with some red Stickles. 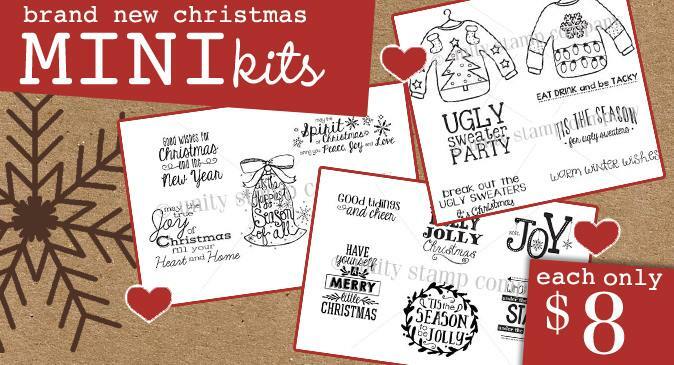 This week there are a lot of new mini-kits, including this fun ugly sweater kit! 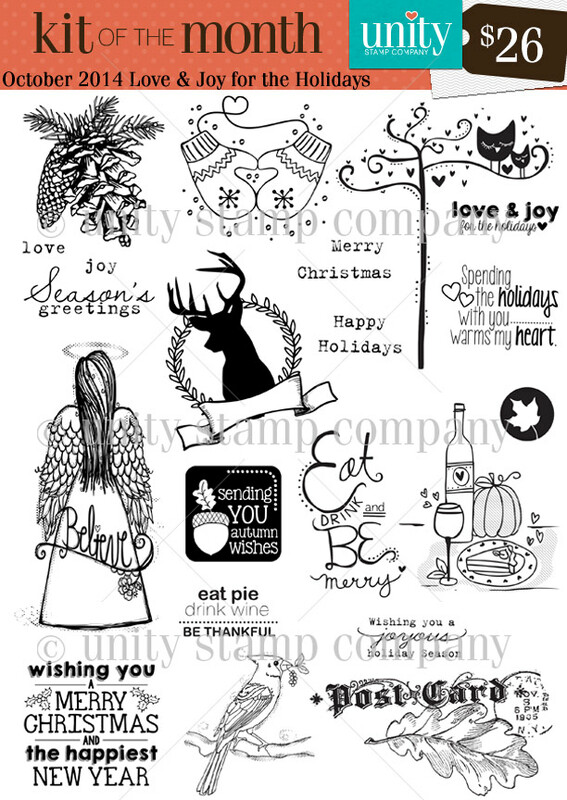 I love all three, but I'm so so excited to finally have some ugly sweater stamps! 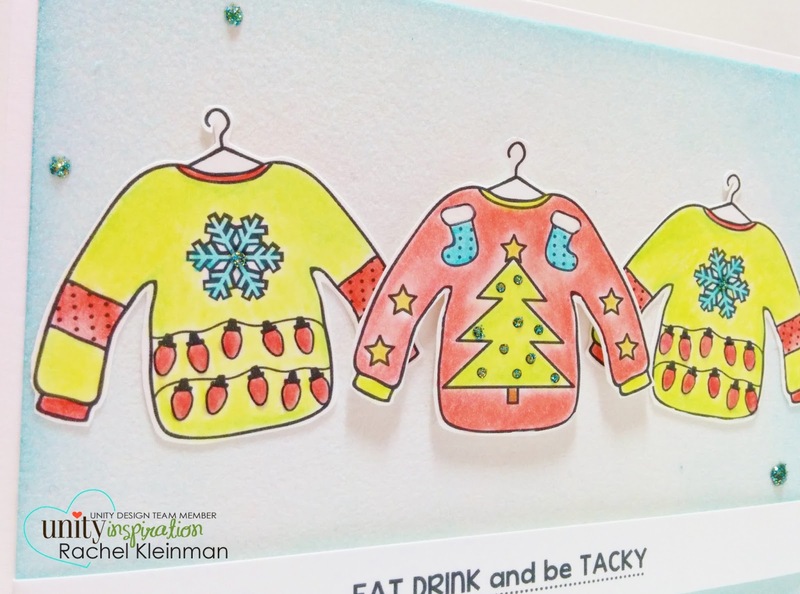 I colored the sweaters with Prismacolor pencils and fussy cut. The paper in the background is new DCWV flocked paper that I lightly distressed in blue. 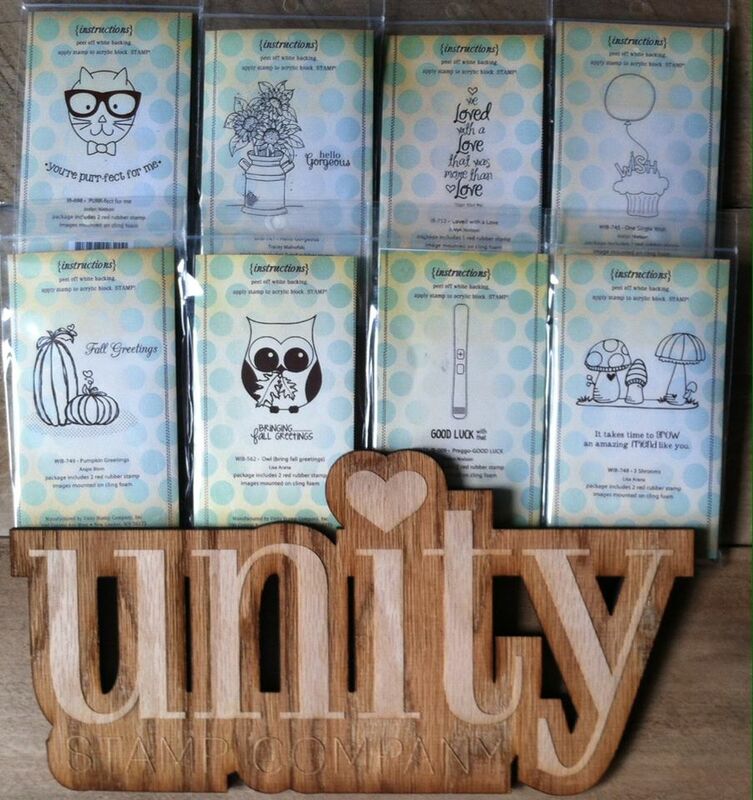 There are always PRIZES at Unity!! 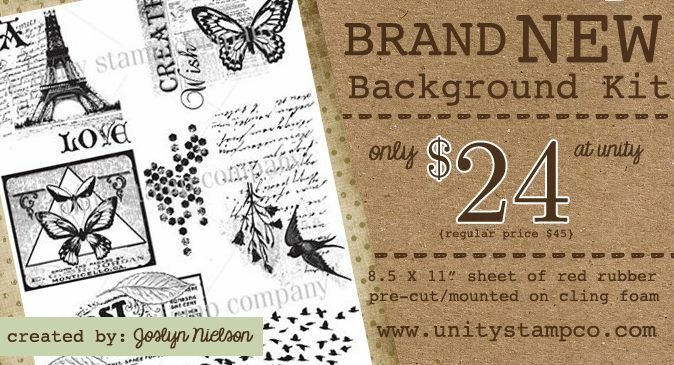 Leave comments throughout the hop for a chance to win this great set of Itty Bitty stamps!! Hope you leave here inspired for some holiday card making! Have a fabulous October weekend! beautiful cards!! 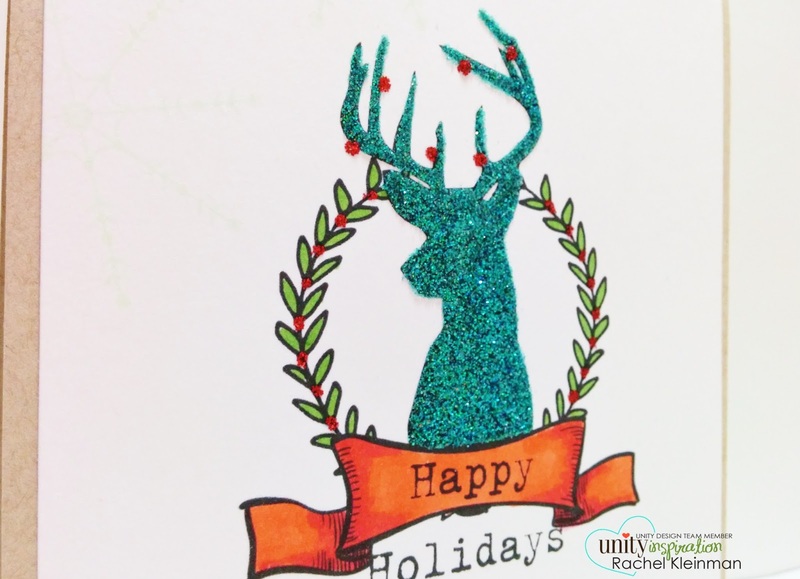 love the glittery deer..
Fun cards! I love the glittered deer! So many fun projects-What a fun way to accent the deer head. Fun designs, Rachel. Fall is definitely in the air! Blue glitter deer...how could life get any better? Love your dazzling and sparkly deer!!! That glittery deer card is just wonderful and the Tacky Sweaters keep making me giggle! Wonderful cards! Love the sparkle on the deer silhouette! Looks like you really got in the spirit with those Christmas sweaters! The colors will hurt your eyes, such a fun card!! 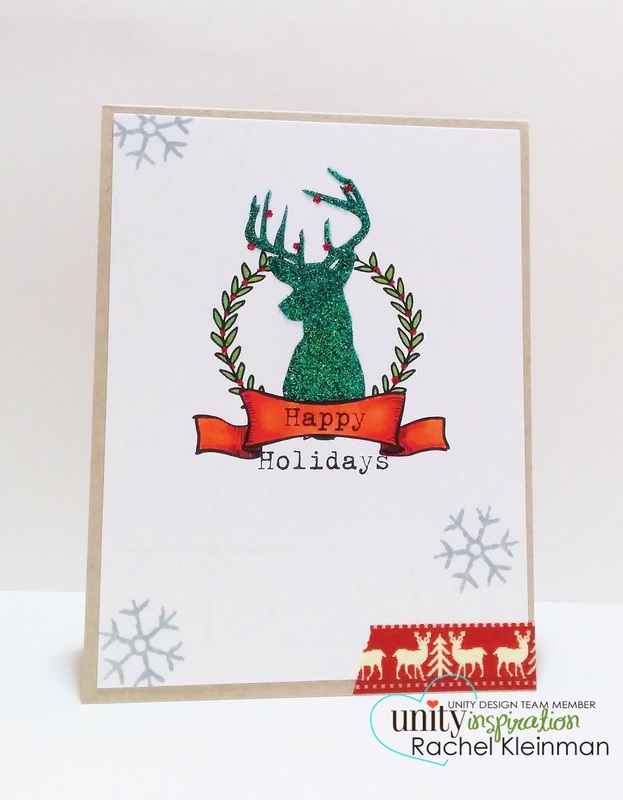 Beautiful cards, the deer is fabulous and the Ugly Christmas sweaters are stunning. Your cards are wonderful! Very festive! Eat drink and be tacky! Hahah! Love that! 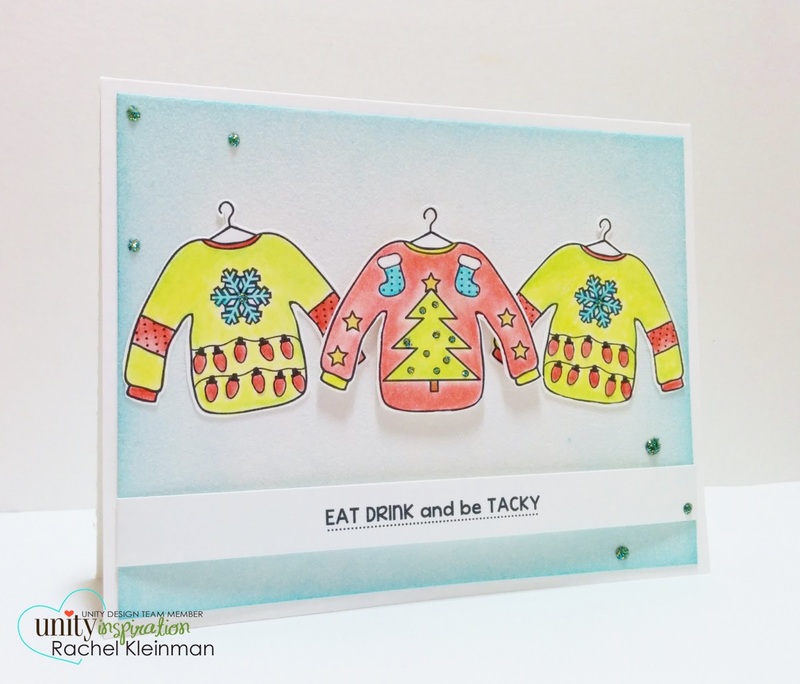 Great glittery deer card and I love that fantastically fun sweater card - that sentiment is a hoot. Wow--very cool with the sparkly deer and cute sweater card. Awesome stamps, Awesome cards! I especially love the colorful sweaters! Love the ugly sweaters and I swoon over that glittered deer...awesome. Great cards! I love the fun sweaters! Beautiful cards! I love the glittery reindeer and the vibrant colors on the sweaters. Thanks for sharing. Great cards! Love the reindeer and the fun sweaters! !